Delivering to Australian business', nationwide, MediOne offer online ordering 24/7 for your convenience. Our range is extensive covering all areas of Wound Care, General Healthcare, Medical Equipment, Diagnostic, Nutrition and Aged Care. If you can't find what you're looking for please give us a call as we do not list all items on this site. Our minimum order level is $75.00 ex GST and can usually offer same day dispatch if your order is placed before 2pm. We offer FREE freight on all orders over $350 ex GST and charge a flat rate freight of $14.50 plus GST for all other orders. Please note MediOne reserves the right to provide a freight quote on larger, heavier or long distance orders. You do not need an account to purchase your medical supplies. Simply add the items you require to the cart and proceed to checkout. You may register with MediOne where you will be provided with a secure log-in enabling you to retrieve your order history or simply choose to check out as a guest. We accept payment by Paypal, Visa, Mastercard, Direct Deposit, Cheque or Money Order. If you have any questions or require assistance with the ordering process please give us a call. Australia's number one online medical supplies store delivering direct to your front door! With a broad range of top quality brands and products on our website, you are sure to find what you need at great prices. Our range is so extensive that not all products are listed on this site. If you can't find what you're looking for please give us a call! Delivery is available Australia wide at a low flat rate freight of $14.50 ex GST and FREE freight on all orders over $350 ex GST (with the exception of unusually large, heavy or long distance deliveries). Please be sure to include any special delivery instructions to assist our drivers eg. "if not home leave at front door". We have a minimum order amount of $75.00 ex GST and usually offer same day dispatch if your order is placed before 2pm. Please order by simply adding the medical supplies you require to the cart and proceeding to checkout. You may register with MediOne creating your own secure log in showing your order history or simply choose to checkout as a guest. Either way, ordering from MediOne is easy and efficient - no account necessary! 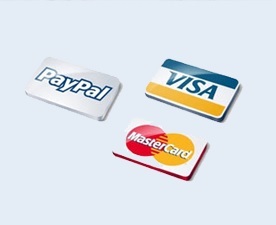 We accept payment by Paypal, Visa, Mastercard, Direct Deposit or Cheque/Money Order. Details of how to pay are displayed during the checkout process. If you have any questions or require assistance please call customer service. Wishing our valued customers a happy and safe Easter! Free delivery for all orders over $350 (ex GST) throughout Australia.